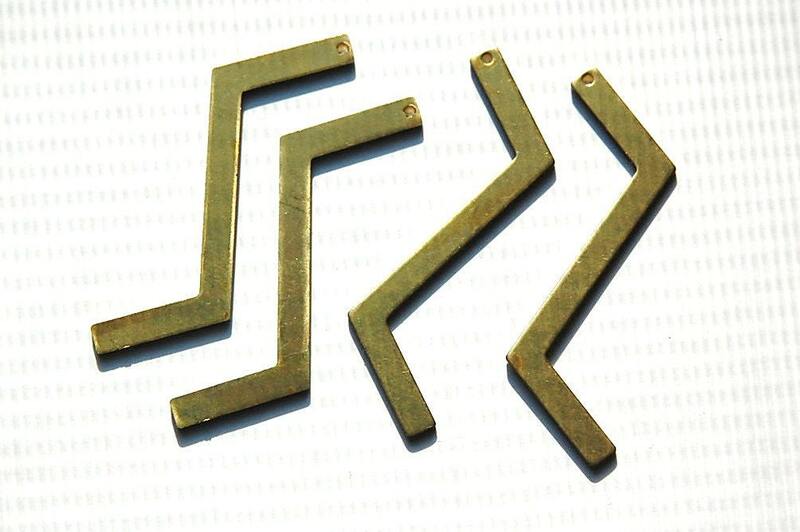 These are raw brass pendants. They have a z shape with a beading hole at one end. These are solid and are flat on the back. They measure 54mm long X 19mm wide. You will receive 4 pieces.